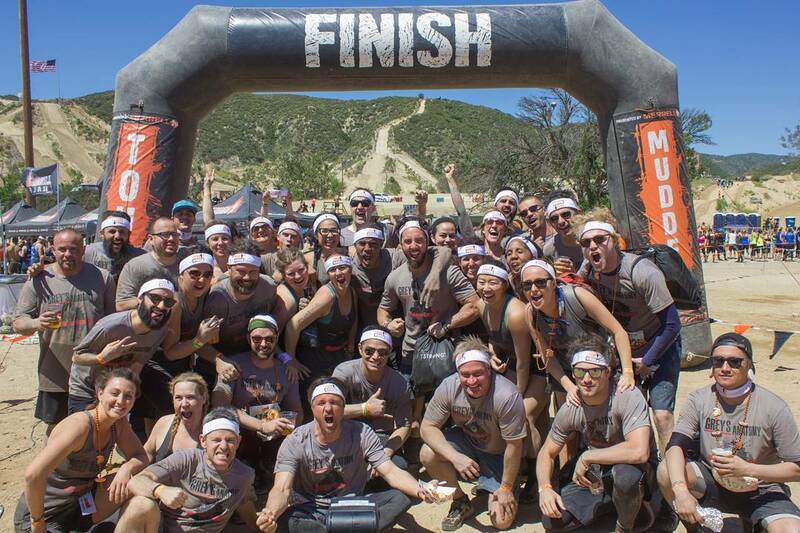 MAKE A DONATION to ANY team fundraiser under the leaderboard at: crowdrise.com/greysanatomytoughmudder during the Eligibility promotion period. EMAIL PROOF OF DONATION to KMKcharity@yahoogroups.com and be sure to include the subject line ﻿“Tough Mudder/Paley Ticket”﻿. ALTERNATE METHOD OF ENTRY (AMOE): You may enter for free by submitting an EMAIL FORM to: KMKcharity@yahoogroups.com. Email Subject Line must include the words EMAIL FORM followed by the title of the Promotion. Email Body must legibly include your complete name, physical street address (no P.O. Boxes), city, state/province, zip/post code, country, daytime phone number (including country code prefix), age, email address (if available), name of the specific Promotion you wish to enter, and the following statement “I have read, understand and fully agree to the Official Rules of this Promotion”. AMOE must be properly sent, dated and received during the Eligibility promotion period. If form is not submitted correctly and completely, form is automatically void. ELIGIBILITY: Promotion starts Monday, 6 March 2017 and ends Monday, 13 March 2017 at 11:59 pm ET. Open worldwide except where prohibited by law. Any and all taxes, fees, and import duties, if any, are the sole responsibility of each individual winner. PRIZE: Winner receives one (1) admission ticket to Paley Fest Grey’s Anatomy Panel for 19 March 2017 at Dolby Theatre in Los Angeles CA. Does NOT include travel to/from event, lodging, meals, souvenirs, or any other associated event costs and/or incidentals. No warranties expressed or implied. SELECTION OF WINNER: One (1) winner for this promotion. Winner chosen at random from all eligible entries. Winner MUST provide name, physical mailing address, phone number and email address. Prize must be claimed IN PERSON on or about 19 March 2017 at the pre-arranged time and location as coordinated with winner by sponsor. If winner fails to show at pre-arranged time and location to claim ticket he/she forfeits the ticket and NO substitution of ANY kind will be made, required or requested. All decisions by sponsor and/or their representatives are final. 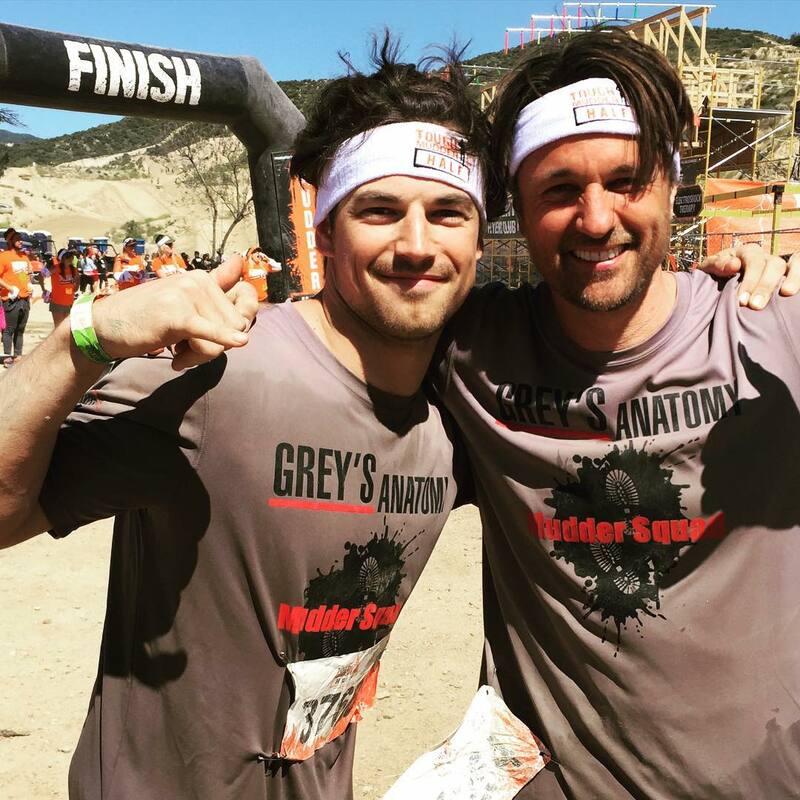 DISCLAIMER: Not sponsored, endorsed, administered by, or associated with Tough Mudder, Paley Fest, Grey's Anatomy, ABC or Disney. All decisions by Sponsor or its representatives are final. Winner agrees to use of name, likeness, and/or prize information for promotional purposes in any medium without additional compensation. Promotion void where prohibited or restricted by law and subject to all applicable federal, state and local laws and regulations. Any and all taxes, fees, and import duties, if any, are the sole responsibility of the Promotion winner. The use of automated software or computer programs to register or to enter the Promotion is prohibited and any individual who uses or attempts to use such methods to register or to enter will be disqualified. Sponsor disclaims any liability for damage to any computer system resulting from participation in, or accessing or downloading information in connection with, this Promotion and reserves the right, at its sole discretion, to modify, cancel, terminate or suspend this Promotion should any virus, bug, technical failures, unauthorized human intervention or other causes beyond Sponsor’s control corrupt or affect the administration, security, fairness, integrity or proper conduct of the Promotion. In the event of any such cancellation, termination or suspension, a notice will be posted and, if in Sponsor’s sole discretion, a winner can be selected among all eligible, non-suspect entries received prior to such time, such winner will be selected. Sponsor reserves the right, at its sole discretion, to disqualify any entrant (and his/her Promotion entry) from this Promotion or any other promotion conducted now or in the future by Sponsor or any of its affiliates if entrant tampers with the entry process or if his/her fraud or misconduct affects the integrity of the Promotion. This Promotion will be governed by the internal laws of the State of WestVirginia and all legal actions or claims arising in connection with this Promotion must be brought in a court of competent jurisdiction within the United States of America. By participating, each entrant accepts the conditions stated in the Official Rules & General Terms, agrees to be bound by the decisions of the Sponsor, its agents and representatives and warrants that he/she is eligible to participate in this Promotion. By accepting the prize, winner agrees to release Sponsor, Prize Provider and their agents and representatives, without limitation, from any and all liability, loss or damages arising from or in connection with the awarding, receipt and/or use or misuse of prize or participation in any prize-related activity.